Happy Saturday! I met a new nail polish friend online and she happens to live in Minnesota. We started talking because she saw my Essie Sand Tropez post and now I talked her into starting a blog:) She had a great saying for the weather we are having in Minnesota..."Lovely Winter we're having this Spring" LOL, love it. I'm excited to see what she comes up with on her blog - I will share it as soon as she starts. And on to the nail polish...this is Essie "Maximilian Strasse-Her" from the Spring 2013 Madison Ave-Hue Collection. 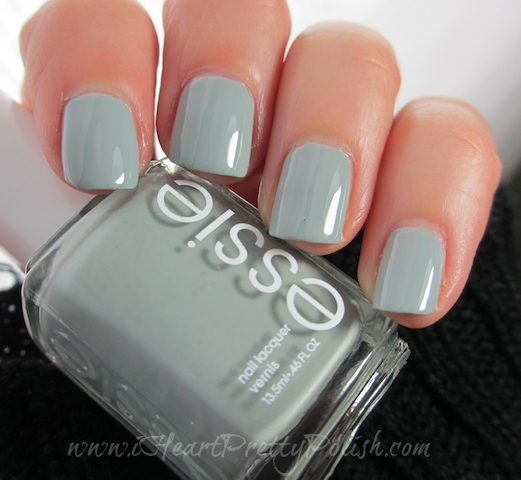 Essie describes Maximilian Strasse-Her as a cool grey green. I have been so drawn to green nail polish lately and I am so happy that I decided to pick this up. I would also love to report that the formula on this one was as awesome as Avenue Maintain from this collection. I blogged about it here. Not sure if Essie has improved their formula or if it's a coincidence, but the last two I bought have been wonderfully opaque in two coats. Here are some other greens I have for comparison. You know when you are in the store and you think of a polish in your stash that closely resembles the one you are thinking of purchasing? My first thought was OPI Thanks a Windmillion. As you can see here, the Essie is quite a bit lighter. And it makes Absolutely Shore look absolutely white. After swatching Ulta Army of 1, I was reminded that I need to wear that one again. I love Army of 1 and highly recommend it. Great swatches, I love the color of this polish! opi thanks a million is very pretty! Yes, I do like that one - I haven't worn it in a while. I agree, I'm glad I grabbed this one! Oh yeah? That would be nice! This polish is LOVELY!! Once neutral polishes showed up on my radar, they're now nearing fascination status. ;) This is such a perfect, light, greyish green creme. I could totally come up with some great glitter layering combos using Maximilian Strasse-Her as a base. Absolutely Shore is another one that I'm REALLY digging. :) P.S. Your comparison photos/posts are stellar! And SO helpful!! Great color and great comparison photo! I have Windmillion and Absolutely Shore but still want this one, looks a bit blues than those and it's so pretty. Yes, I would recommend all of them! This is a great color, I hope this is true about the Essie formula, I haven't had the greatest of luck with some of my Essies and formula. 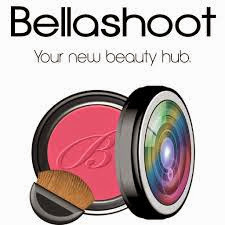 This color looks fab on you. Thank you! I love grey tones, that's for sure.